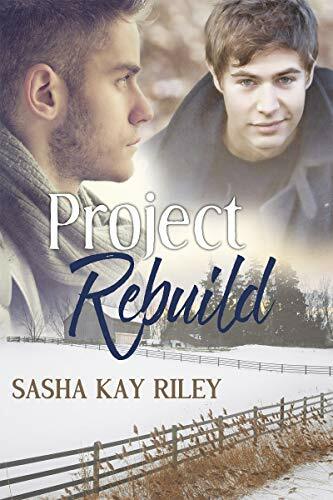 Welcome to the blog of author Sasha Kay Riley. Here you will find info on all the books, free reads, and posts I’ve written sharing my adventures in author life. I don’t follow a regular posting schedule here. Instead, I post content when I have something to write about. For more frequent updates and interactions you can find me on Facebook and Twitter at @SashaKayRiley. I have a new book! As I mentioned in the 2018 review post, I decided to publish a couple books on my own (with an editor) this year due to my scheduling issues. The first of those projects is now available for pre-order! Yay! Grant Draper has just inherited his dying family business. There hasn’t been much interest in horse-drawn carriages in his part of New York for years, but he can’t stand the thought of giving up the business and letting his late grandfather down. It’s just that rebuilding the business is going to take a miracle. Brendan Herrmann has finally found the horse carriage his father has been hunting for years to add to his collection. But the ancient Draper & Sons coach needs more work than he had hoped. It needs to be completely rebuilt. He’s afraid no one will be up to the task, until he discovers the company Facebook page. The project for Bren could very well be the miracle Grant needs to save Draper & Sons, and it comes with the added bonus of living with the very attractive Bren. But then, just when everything seems like it’s falling into place, someone tries to take away everything Grant has left. Will the fragile future Grant and Bren are building be able to survive fire and fraud? Will they be able to rebuild? The book will be released on February 2nd, but you can pre-order at Amazon now! 2018 is finally over! It was a tough year for me, personally. I had horrible time management, thanks, in part, to my full time retail job with unpredictable hours. I barely won NaNoWriMo, I utterly failed when it came to social media as a writer, and I had a few medical and financial roadblocks show up in my life. I did, however, finish publishing the Anderson Stables series. That was both a sad thing and a relieving thing. I have lots of other story ideas fighting to get out now, and I can finally work on those ideas. But I will definitely miss writing about Vince and Dustin and Xander. I might just have to write some short stories in the future. So, with all that behind me now, it’s time for some real goals for 2019. Learn some time management skills. It’s pretty obvious that I’m terrible at this right now. When I have a ton going on in my life, I push aside my writing, social media presence, and blogging. It’s time to take a look at where I can improve. Work toward a career change. For me, writing has only ever been expected to be a hobby, something I can make a tiny bit of money off while working a “real job” as well. I still don’t plan to make a full living off my writing, at least not in the next five years. My real goal is to take some new courses so I can get out of the retail world and hopefully work for myself, releasing myself from the unpredictable and ever changing hours. Be better at social media. I plan to return to blogging with monthly posts, along with weekly posts on Facebook. I also plan to start a newsletter very soon! Publish two books in 2019. I’ve decided to publish two books this year on my own schedule, without a publisher. Even working with a professional editor, this gives me a better way to work around my “real job” and set my own deadlines. We’ll see how it goes. I don’t see why I can’t meet any of these goals, so let’s get rolling! Right now I’m working on researching my current project (the vaulting one, yes). This is exactly the same system I used when researching Anderson Stables, too. So I thought I’d share my process for anyone who may be curious. Usually the first thing I do when I get an idea for a story in a sport I’m not personally experienced with, is to watch as many videos of and about that sport as I can find. For Anderson Stables that involved watching lots and lots of Grand Prix livestreams and Olympic playbacks. For this new book I’m watching as many vaulting videos as I can find on Youtube. Next, I always go online and find the official rulebook for both national and international competitions. And then, because I enjoy spending lots of money on paper and ink, I print those out so I always have something physical to reference. And then I read them. In their entirety. Usually to help me fall asleep at night. Not really though. I do read them, and they can be dull and difficult to read at times, but I find it a very informative experience. I want to make sure I know the little details before I start seriously working on a story, even if all those little details don’t make it into the book. That’s usually my research strategy for anything I decide to write in my equestrian romance genre. For Anderson Stables I also took a trip down to Florida to experience part of the Winter Equestrian Festival, but I don’t expect to do that very often. Full time jobs and money tend to restrict one’s abilities to take a bunch of trips even when it’s technically for work. Hey everyone, don’t forget that you have until June 15th to get in any questions you would like to ask of the Anderson Stables cast of characters so I can interview them!